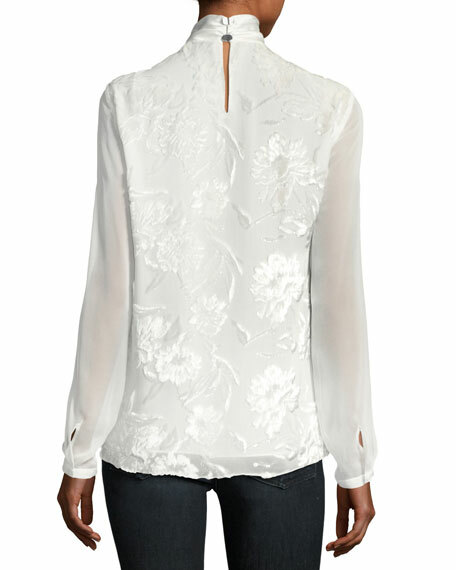 Elie Tahari "Elastia" blouse with floral flocking. High neckline; front and back keyholes. For in-store inquiries, use sku #2345441.